Boys video their latest skateboard trick at the Undercroft. 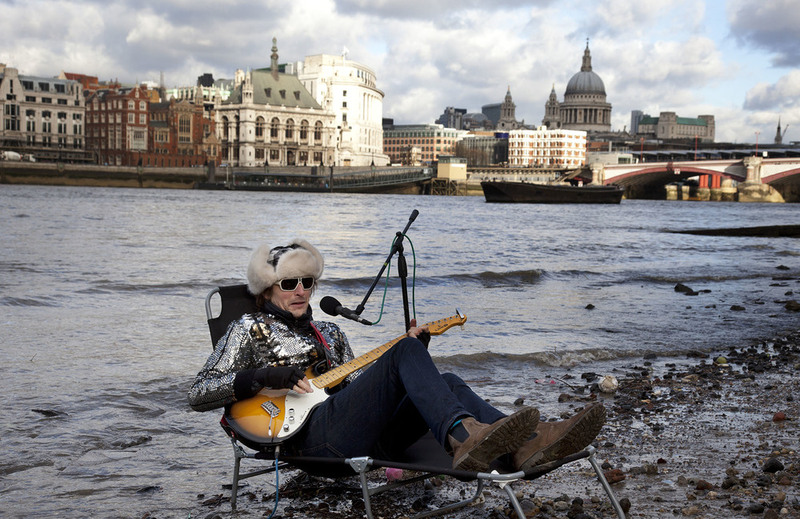 Busker called the 'Flame Proof Moth' performs on the edge of the River Thames in Winter. 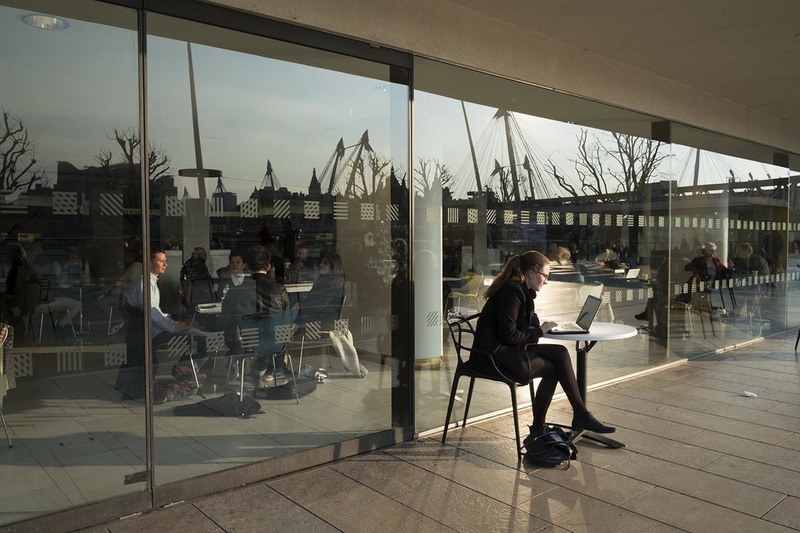 A Winter evening working outside the Royal Festival Hall. Red Routemaster parked outside the National Theatre's temporary space The Shed Theatre. Free plats are given away to delighted passers by after an event. One young lad skates off with his. Chinese wedding couple kiss on the South Bank fairground carousel. Model Charli is photographed during a fashion shoot. The Lizard Man introduces acts and sells the show 'on the inside' at Wonderground Sideshow freak show. 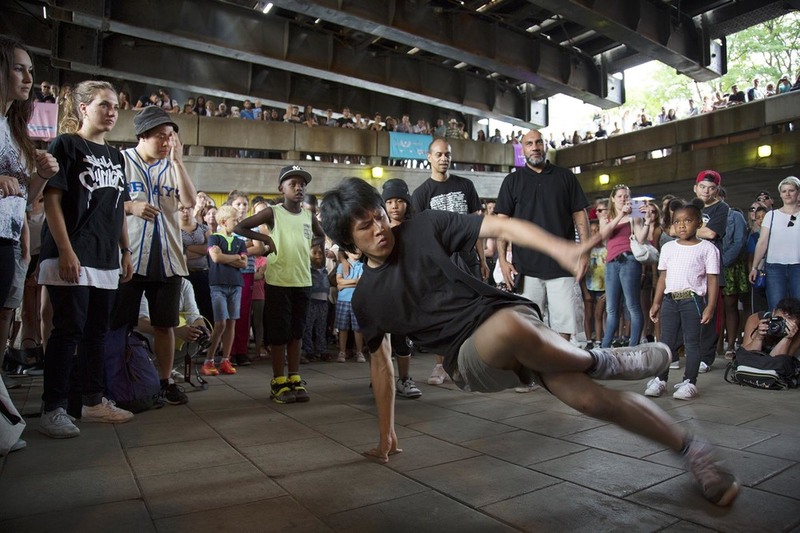 Breakdance-off underneath Hungerford Bridge at the Urban Weekender. Daniel and Miguel, acrobats from Gravity & Other Myths Circus. 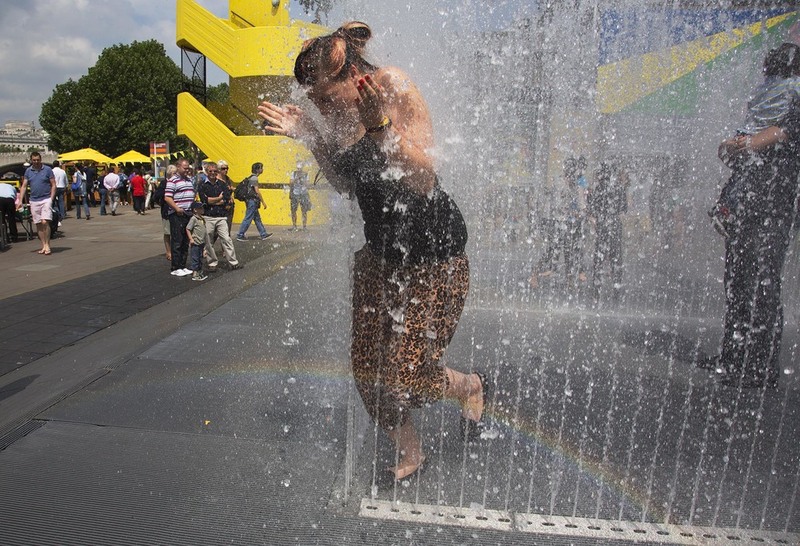 Woman egged on by her friend, takes the plunge to exit the Appearing Rooms fountains. Odd shaped benches on the riverside walkway. 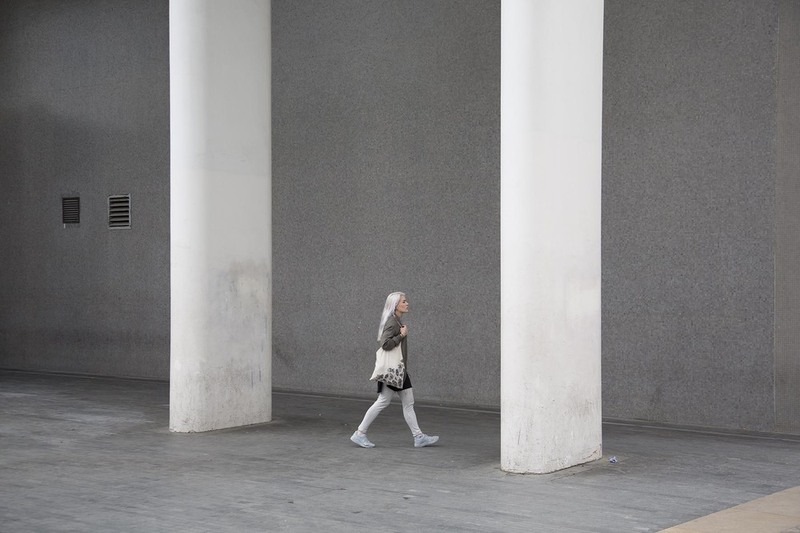 Monochrome architecture at the Royal Festival Hall. 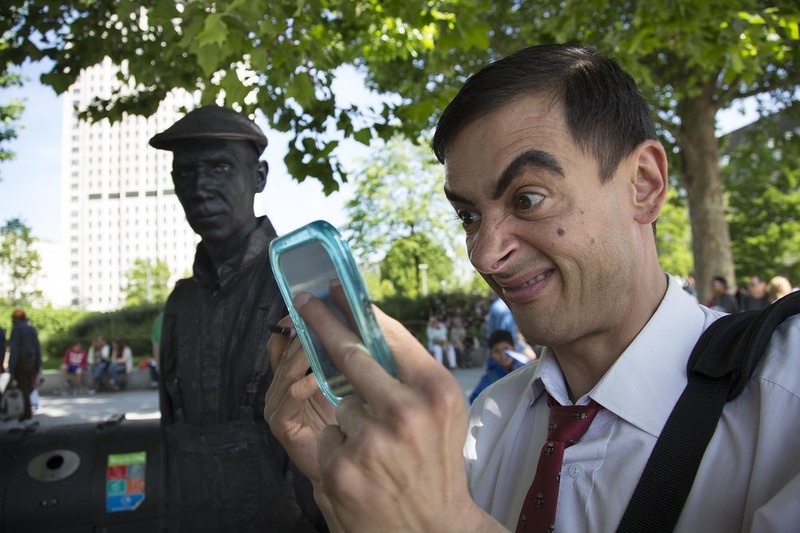 Mr Bean street performer makes some repairs to his make up. No idea who this lot are, they came and then slipped away, like spies. The operator on the carousel fairground ride amidst the blur of movement. Drumming along to music at the Royal Festival Hall. Girls chatting while people dance to Asian music during Alchemy festival. Sid takes a colossal pee as a couple walk their two Great Danes. Tourist sitting in the sun as a busy world goes by. A parkour runner somersaults off the steps down to the beach on the South Bank. Human statue Matt from Mechanical Fracture. BMXers hanging out at the South Bank Undercroft. 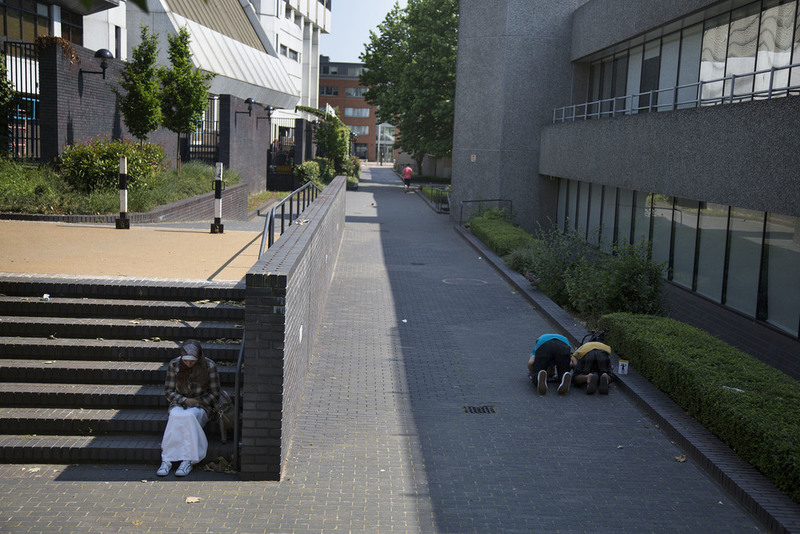 Two Muslim men and one woman taking time in their day for prayers. 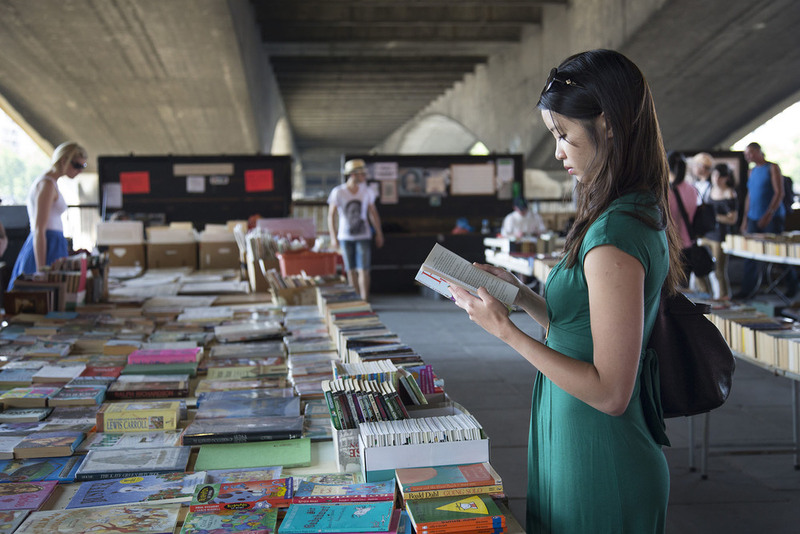 Woman stands engrossed reading a book at the second hand book stalls under Waterloo Bridge. Skateboarder at the South Bank Undercroft passes some graffiti. This is the home of British skating. Woman sunbathing cross shaped on a concrete feature outside the National Theatre. Children interact with a living statue artist who does not blink for hours at a time. 'Aggressive' inline skater performs a glide trick along a rail on the South Bank walkway. Tattoo couple catching looks from passers by as they stroll arm in arm. Rapper busing on the Golden Jubilee Bridge which links the South Bank to the West End of London. Busker called the 'Flame Proof Moth' performs on the edge of the River Thames in Summer. A young boy stands at the edge of the River Thames on the South Bank beach. Bubble man entertaining children on the riverside walkway. A woman deep in thought looks into the River Thames. Skaters hanging out at the Undercroft watching their friends perform tricks. 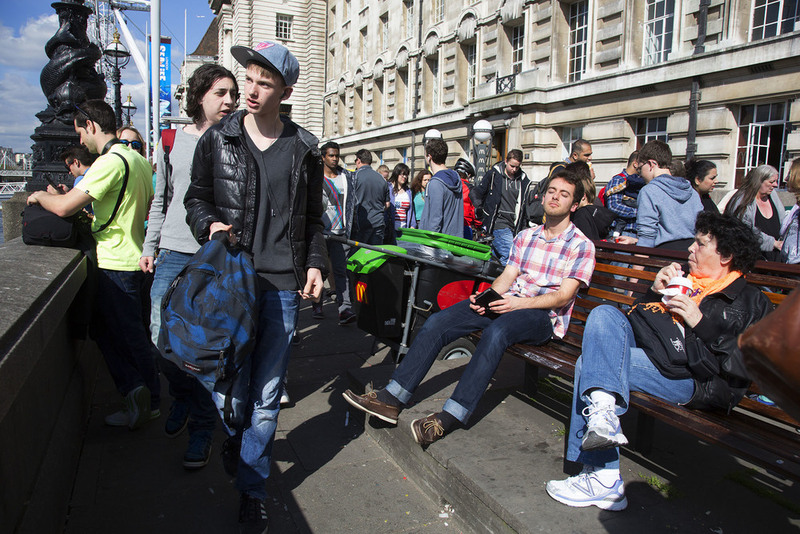 Group of young European student tourists walk along the South Bank walkway. Break dance group One Motion Crew perform for money to a busy crowd of tourists. Man on his stag party wearing a camouflage body stocking relaxes on a metal bench. Three girls sunbathing on the River Thames beach on the South Bank. 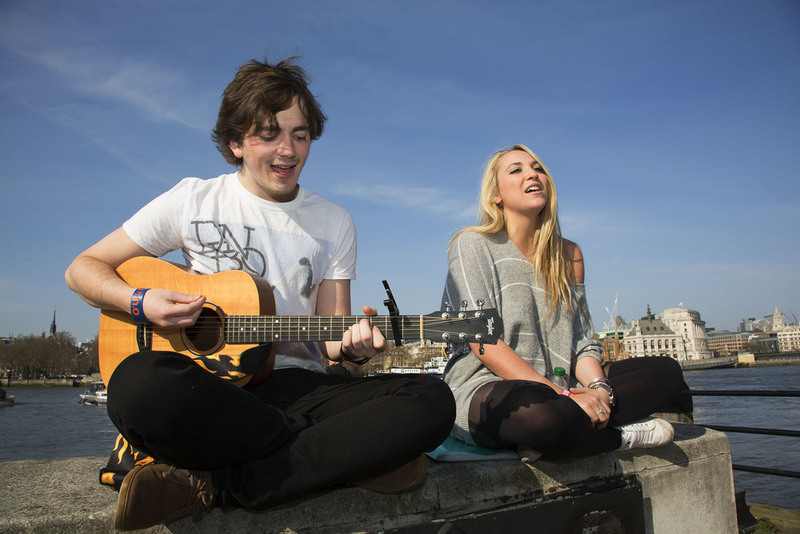 Two young buskers singing and playing guitar on the riverside wall. People relaxing up on the Queen Elizabeth Hall Roof Garden. Superman lights up a cigarette near his stag party friends, who are dressed up in superhero costumes. Man has his Tour de France yellow jersey photo taken at the 'Look Mum No Hands' cycling cafe under Hungerford Bridge. Street performing escapologist Tony Roberts delights crowds with his show on the South Bank walkway. Wedding party guests borrow a busker's guitar and microphone to sing a well known Chinese song to the thrilled couple. Boy playing on a seating area underneath some street art at the Hayward Gallery. Kids playing near the yellow gantry walkway which joins a terrace to the main walkway on the South Bank. Lovers embrace at sunset on the yellow gantry beside the Royal Festival Hall terrace. Street art graffiti under Hungerford Bridge showing characters growing up by artist Stik. One Thousand Pans. Steel bands from all over the UK converge at Jubilee Gardens on the South Bank. 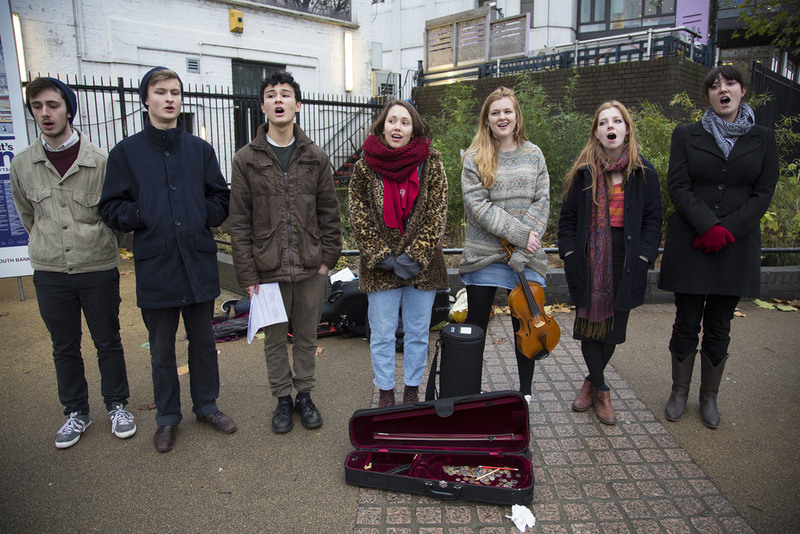 Young student Christmas carol singers busking on the South Bank. Huge crowds gather at the Christmas market along as a train passes over Hungerford Bridge. View during the Christmas season, towards the London Eye and Westminster across the River Thames. 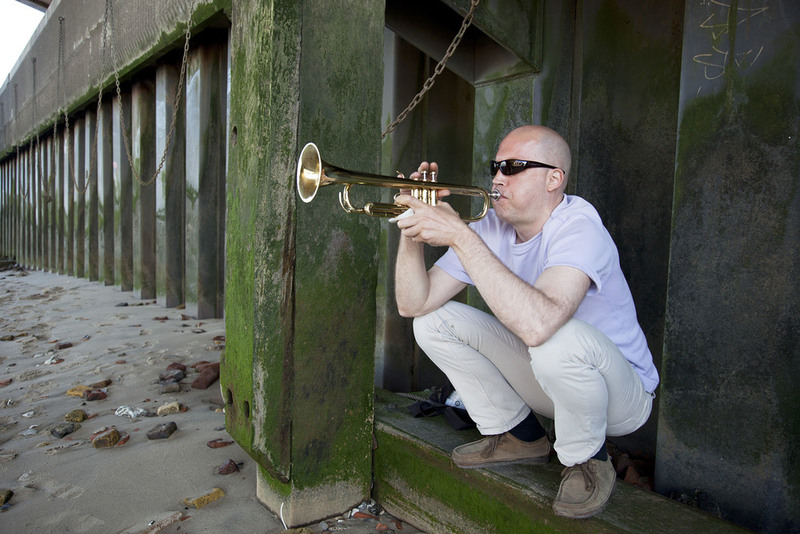 Man plays a trumpet underneath Blackfriars Bridge on the shore of the River Thames. Man walking along the River Thames beach at low tide with his metal detector. Tommy West a street performer on the walkway dressed as a stilt walking 10 foot high policeman. Model poses during a fashion shoot at the Undercroft. Cat man street performer amusing adults and enthralling children from his basket. Bride to be Polly on her hen party meets a white python at the Wonderground Side Show. Christopher Werkowicz playing a tuba which shoots out flames. Old School BMX Life, Santa Cruise charity day.